BACKGROUND: The formation of adhesions following pelvic surgery remains one of the leading causes of infertility, small bowel obstruction and re-operation for pelvic pain. A novel hydrophilic polyethylene glycol based adhesion barrier (SprayGel) is formed by simultaneously spraying two liquid precursors onto surgical sites. The liquids polymerize to form a gel that effectively coats and adheres to tissue. After about 5 days, the hydrogel layer is absorbed and subsequently undergoes renal clearance. It is believed that the presence of such a barrier would inhibit the formation of adhesions following surgical insult. METHODS: A porcine adhesion model was developed wherein bilateral uterine horn transection and re-anastomosis, along with peritoneal side wall excision was performed via laparotomy. In each animal (n = 10, including the pilot study) one pelvic side wall was treated with adhesion barrier, while the contralateral side remained untreated. RESULTS: At second look laparoscopy, 90% of the untreated sites had adhesions, compared with 30% of the treated sites (P = 0.006). Also observed were statistically significant reductions in the adhesion extent (P = 0.029) and adhesion severity scores (P = 0.023) at the treated sites. However, if the pilot study was excluded (n = 8) the differences obtained were no longer significant. CONCLUSIONS: Polyethylene glycol (SprayGel) merits further investigation as an effective barrier to the formation of post-operative adhesions in this porcine model. Pelvic surgery often causes unavoidable tissue injury that can lead to the formation of post-surgical adhesions in more than 50% of patients (Trimbos-Kemper et al., 1985 ; Golan et al., 1995 ). Such injuries include mechanical trauma from retractors and tissue handling, ischaemia at suture sites and after electrocautery use, foreign bodies, tissue desiccation and infection (Stangel et al., 1984). These stimuli of adhesion formation occur in both open and laparoscopic approaches. Post-operative adhesions are a common cause of small bowel obstruction and re-operation for pelvic pain, and adhesions involving the ovaries or Fallopian tubes are responsible for 15–20% of female infertility cases (Ray et al., 1998 ). In addition to these adverse clinical sequelae, the economic impact in the USA in 1994 was significant with a direct cost of $1.33 billion for all hospitalizations during which adhesiolysis was performed, based on Ray's analysis (Ray et al., 1998 ). Other studies have shown that of surgical patients, 35% were readmitted at least once for problems directly or possibly related to adhesions over a 10 year period (Ellis et al., 1999 ; Lower et al., 2000 ). Although the ultimate solution to this problem will probably result from an increased understanding of the humoral agents and cellular events that control adhesion formation, current clinical needs could be met by an effective adhesion barrier that is easy to apply in both open and laparoscopic procedures. The majority of models developed to study adhesion barriers utilize small animals, such as rats (Golan et al., 1995 ; Hellebrekers et al., 2000 ), mice (Haney and Doty, 1992 ) and rabbits (Marana et al., 1997 ). These models use a variety of means to mimic surgical injury, such as abrasion or electrocautery applied to a range of organs including uterine horns (Golan et al., 1995 ), the caecum, ovaries (Marana et al., 1997 ) and the pelvic sidewall to create a nidus for adhesion formation. These models have contributed greatly to our knowledge of adhesion formation and prevention. However, due to differences in scale between humans and these models, they are limited in their ability to predict clinical success. All surgical procedures were conducted in accordance with the regulations and approval of the Rhode Island Hospital Animal Care and Use Committee. 10 female virgin hogs weighing 50–75 lbs were received and acclimatized for a minimum of 2 days prior to surgery. They were induced with a combination of tiletamine-zolazepam (5 mg/kg), xylazine (2 mg/kg) and atropine (0.05 mg/kg) administered i.m. Pre-operatively, the subjects received 1 gm cefazolin i.v. Following induction of the general anaesthetic the animals were maintained on a mix of isoflurane and oxygen inhalation for anaesthesia for the duration of the procedure. The abdominal region was shaved, scrubbed and draped in preparation for sterile surgery. Thereafter, a coin toss was used to randomly assign the left or right pelvic side wall to treatment with adhesion barrier, which was then applied to only the assigned side wall, with no application to the uterine horn. Following application to the assigned sidewall, the hydrogel barrier was rinsed with saline to ensure a moist, lubricious surface. The contralateral side received no further treatment and served as the internal control. After appropriate treatment was performed, the laparotomy was closed in layers with continuous braided polyester (O Ethibond; Ethicon). After closure, the abdominal incisions were injected with local anaesthetic (2% lidocaine) for analgesia. Animals were returned to their cages where they received food and water ad lib and i.m. pain medications, as deemed necessary based on their behaviour, with buprenorphine 0.01 mg/kg. The SprayGel Adhesion Barrier (Confluent Surgical) consists of two synthetic liquid precursors that, when mixed together, rapidly cross-link to form a solid, absorbable biocompatible hydrogel in situ. No external energy sources are required for polymerization, which is substantially completed within a few seconds with no heat evolution. Both precursor solutions contain upwards of 90% water. The first precursor solution contains a modified polyethylene glycol (PEG) polymer with terminal electrophilic ester groups while the other precursor solution contains PEG that has nucleophilic amine end-groups. This second precursor solution also contains methylene blue, a colourant that is added to the formulation to facilitate visualization of the hydrogel. The SprayGel barrier is formulated to remain adherent to the site of application for approximately five days. At approximately that time the barrier breaks down by the process of hydrolysis, and the liberated water-soluble PEG molecules (<20 KDa) are absorbed and undergo renal clearance (Yamaoka et al., 1993* ). PEG molecules of this size have been shown to have a clearance half-life of about 15 min in mice (Yamaoka et al., 1993*). SprayGel has passed a complete battery of tests including cytotoxicity, genotoxicity, haemolytic potential, sensitization and irritation. It does not affect wound healing or potentiate infections, and has been shown to be non-toxic at 30 times the expected human dose. After the completion of injuries and randomization, the surgeon applied the adhesion barrier only to the pelvic side wall injury site assigned to the treatment group. No material was applied to the uterine horn. Figure 2* shows a typical application at a treated site. An air-assisted sprayer (Confluent Surgical), shown in Figure 3* , was used to carry out the deposition. The barrier was applied to achieve a thickness so that fine tissue structures under the barrier such as small blood vessels or muscle fibres became difficult to visualize due to the methylene blue colourant in the gel. This was previously established to be a thickness of 1–2 mm. The barrier was applied to the exposed subperitoneal muscle, and extended beyond the cut border by 2–3 cm to ensure coverage of potential ischaemic areas. Approximately 5 ml of each precursor was needed to cover an area of 12x8 cm. Due to the hydrophilic nature of the hydrogel barrier, treated sidewalls were irrigated with normal saline to ensure a moist, lubricious surface prior to closure. Figure 2. Application of SprayGel to the peritoneal injury site. Blue coloration identifies extent of adhesion barrier coverage. Figure 3. The SprayGelTM; Adhesion Barrier System, consisting of an applicator with two syringes containing hydrogel precursor solutions. A small compressor (not shown) supplies air for atomization via the connecting tubing. The first two animals enrolled were evaluated for adhesions at an earlier time point than the others (6 versus 14–16 days) to ensure adequate model response. At the time of evaluation, one umbilical and two lower quadrant trochars were introduced. The animals were placed in the Trendelenberg position and adhesion formation was scored laparoscopically by a surgeon blinded to treatment site assignment. Laparoscopic procedures were videotaped for additional evaluation if needed. The presence or absence of adhesions at each site was noted, and extent of adhesion coverage was scored as follows: 0, clean, no adhesions; 1, adhesions on <50% of the stripped sidewall area; and 2, adhesions on 50–100% of the stripped sidewall area. After this, adhesion severity was scored as: 0, clean, no adhesions; 1, filmy adhesions; and 2, dense vascular adhesions. Following adhesion scoring, animals were euthanized with an i.v. potassium chloride injection, and a midline laparotomy was performed. From this approach the laparoscopically obtained adhesion scores could be confirmed, and representative tissues were retrieved for histological examination. Tissues were fixed in neutral buffered formalin, embedded, sectioned and stained using haematoxylin and eosin for light microscopy. All animals survived the procedures uneventfully. Adhesion scores for the treated and control sites of each animal, along with the number of days implanted prior to adhesion evaluation are listed in Table I* . At the time of the adhesion evaluation procedure, residual adhesion barrier was not observed at any of the treated sites within the pelvic cavity, including the two animals evaluated at 6 days. This hydrogel barrier absorption allowed the surgeon evaluating adhesion formation to remain blinded. This finding, coupled with the fact that the peritoneal adhesion formation process is largely complete within 4–5 days (Holtz, 1984*, Harris et al., 1995* ), justifies the inclusion of 6 day animal data in the larger data set. aSidewall randomized to control or treatment (R=Right; L=Left). Application of the standardized surgical injury resulted in formation of adhesions between the uterine horn anastamosis and the pelvic sidewall in 9 of the 10 sites randomized to control. One animal had no adhesions to either the control or treatment sites. Three animals had adhesions to both the control and treatment sites. No animals had adhesions to only the treatment site. Three of the 10 sites randomized to adhesion barrier treatment were involved in adhesions. One of these treated sites with adhesions had required suture ligation of a large arterial bleeder on the side wall during the initial surgery that could not be controlled with electrocautery alone prior to randomization to treatment. The remaining 7 of 10 treated sites were adhesion free. When one compares the incidence of adhesion formation in the treated and control sites, a statistically significant reduction of 67% was observed in the treated sites (P = 0.006). Also, a statistically significant reduction in the adhesion extent score (P = 0.029) and adhesion severity score (P = 0.023) was observed in the treated sites. It is notable that when evaluated without the first two (6 day) cases the differences between incidence, extent and severity are no longer significant, probably because of the reduced sample size (n = 8). For representative purposes, Figure 4A* shows a gross evaluation of a treatment site without adhesions, while Figure 4B* shows a control site with adhesions. Reperitonealization of the treated sites was confirmed histologically (see Figure 5A* ). Adhesions that had formed in most control sites were vascular and some serosal thickening was evident by both gross as well as histological analysis. A microscopic view of an adhesion free control sidewall is shown in Figure 5B* for comparison. Figure 5. Histological analysis of a treated site (A) showingre-peritonealization, and of a control site (B) showing the healed surface (from an adhesion free area). Bars = 100 µm. Even though numerous adhesion barriers have been proposed and tested both pre-clinically and clinically (Steinleiter et al., 1991*; Haney and Doty, 1992*; Hill-West et al., 1994*; Marana et al., 1997*; Becker et al.,1996*) there still remains a real clinical need for an effective material to prevent site specific adhesion. For a barrier to be clinically effective, it should be easy to use in both laparoscopic and open procedures, as well as adhere to the desired tissue long enough to prevent adhesions. Small animal models for adhesion barriers typically do not allow laparoscopic device application, and organ sizes and forces are insufficient to challenge the ability of a barrier to remain attached to the desired site. Many small animal models (mice, rats, rabbits) commonly described in the literature are acceptable analogues of the biochemical processes involved in adhesion formation. Valuable information on adhesion formation, reformation and prevention has been obtained from these models. However, when compared with humans, these models have differences in scale, surgical procedure, organ size, organ weight and physiological forces. These differences can reduce the ability of these models to predict clinical success. To this end, some have proposed large animal models such as a canine radical pelvic resection model that simulates radical hysterectomy (Montz et al., 1993b* ), a porcine incisional hernia repair model (Christoforoni et al., 1996* ), a porcine pelvic surgery model (Montz et al., 1993a* ) and a ewe hysterotomy model that simulates a myomectomy (Moll et al., 1992* ). No large animal models have been adequately described for the formation of adnexal adhesions with the pelvic sidewall. In this study we present a porcine model for adhesion formation following tubal and ovarian surgery. An attempt is made to develop site-specific adhesions with high reproducibility using a surgical procedure analogous to adnexal surgery or myomectomy. This model creates typical surgical conditions encountered in tubal and ovarian surgery, a clinically relevant procedure that is known to be at high risk for the development of post-operative adhesions. The inclusion of several adhesiogenic stimuli that are routine during surgery, such as de-peritonealization of tissues and ischaemic insults from electrocautery and sutures, creates a surgical environment optimal for evaluating adhesion barriers. In this manner, preclinical animal model testing of proposed prophylactic anti-adhesion materials can more accurately predict ultimate clinical efficacy in humans. In addition to developing this animal model, the present study also evaluated a specific adhesion barrier material, SprayGel. Relative to the control side, there was a 67% reduction in the incidence of adhesions at the treated side. On the treated side, only the pelvic sidewall received the adhesion barrier, leaving the injured uterine horn and bladder unprotected. It is significant to note that adhesions were observed on the treated side between the uterine horn and the bladder, demonstrating that the barrier did indeed exclude the adhesiogenic horn from the sidewall, but not from untreated ipsilateral sites. High inter-animal variability in animal models has led to the suggestion of using each animal as its own control (Ordonez et al., 1997* ). This of course can only be performed with non-regional adhesion prevention strategies. Since in this study the adhesion barrier is applied locally by spraying and does not redistribute throughout the pelvis like a liquid or viscous gel, such a model can be used resulting in distinct statistical advantages. Moreover, the need for internal controls is particularly important when using large animals not specifically bred for genetic similarity. Despite the presence of several large animal adhesion formation models in the literature, there is a need for a reliable large animal model of adhesion formation following tubal and ovarian surgery. Given the histological similarities between porcine uterine horns and human Fallopian tubes, this model seems appropriate to assess post-operative adhesions following adnexal surgery. This porcine model also allowed the creation of conditions that are relevant to the human surgical environment in terms of organ size and forces exerted on the adhesion barrier. These conditions are needed to better evaluate important barrier features such as ease of placement and resistance to migration from the desired site. In order to obtain consistent adhesions at the control site, it was determined during model development that the injury process needed to be performed via laparotomy. Therefore, the adhesion barrier was applied during the same open procedure. In the future, laparoscopic material application following the laparotomy closure may be performed. Even though in this model the adhesion barrier was not deployed laparoscopically, the sprayable nature of this barrier allows for the easy deposition in both laparoscopic and open surgical scenarios. The presence of a colourant allows for an easy visualization of the hydrogel and precise placement. The transformation of the precursor solutions to a tissue adherent hydrogel takes place within seconds and large denuded or traumatized areas can be expeditiously protected. An undetectable amount of heat is liberated during the gelation process, and due to the high water content of the components a lubricious surface is presented to surrounding tissues and organs after deposition. PEG is a poor substrate for bacteria due to its non-biological origin. Thus, along with the rapid barrier absorption rate (less than 1 week), the barrier material does not lend itself readily to the promotion or potentiation of bacterial infection. Despite the emergence of several regional adhesion prevention instillates, there is a clear need for an efficacious, easy to use site-specific adhesion barrier that can be used laparoscopically. Thus, SprayGel will potentially address the need of the laparoscopic surgeon who needs to protect site-specific injuries that are susceptible to post-surgical adhesion formation. The results of this study lead us to conclude that this porcine model of adhesion formation is appropriate for the investigation of site-specific adhesion formation and prevention in a clinically relevant surgical procedure. The promising efficacy demonstrated by the PEG adhesion barrier in this and other (Dunn et al., 2001* ) models of adhesion formation warrant the further investigation of this adhesion barrier material in a larger animal study. The sponsors would like to thank Tom Frayne and Jim Clarke of the Rhode Island Hospital for their expert assistance, Ogan Gurel, M.D. for his expert critical review of this manuscript and Erin R.Campbell, Ed.D. for statistical assistance. This work was funded with a research grant from Confluent Surgical Inc.
3To whom correspondence should be addressed at: 695 Eddy St., Providence, RI 02905, USA. D.Mulani is a former employee while P.K.Campbell is a current employee of Confluent Surgical Inc. R.Ferland is a consultant to Confluent Surgical Inc.
Lower, A.M., Hawthorn, R.J., Ellis, H. et al. (2000) The impact of adhesions on hospital readmissions over ten years after 8849 open gynaecological operations: an assessment from the Surgical and Clinical Adhesions Research Study. Br. J. Obstet. Gynaecol., 107, 855–862. Yamaoka, T., Tabata, Y. and Ikada, Y. (1993) Distribution and tissue uptake of poly(ethylene glycol) with different molecular weights after intravenous administration to mice.J. Pharm. Sci., 83, 601–606. Submitted on October 27, 2000; accepted on August 28, 2001. Bernie and I sponsored Mary Pomroy of Canada in her first two surgeries with Dr. Korell, Duisburg, Germany! Both procedures offered her some relief in her symptoms, but they were still not considered a success due to the massive amount of adhesions that reformed post surgically both times. I also accompanied Mary to Germany on her prior two trips for surgery and I was instrumental in getting her selected for THIS cutting edge surgery! Bernie and I were at the 2002 Endoscopic Medical Congress in Berlin, Germany when the success of this procedure and barrier were presented as the first test case for Confluent! Confluent Spraygel has gone on to make medical history and as recent as January 2004, Dr. Reich was able to validate the Confluent Spraygel’s efficiency by performing a follow-up laporoscopy on three ARD patients who had Spraygel used in their adhesiolysis procedures in 2003! All three patients were adhesion free where the Spraygel was applied! Confluent Spraygel WILL revolutionize surgery as we know it today.. The patient, a Registered Nurse and mother of six from Calgary, Alberta (Canada), has had over twenty abdomino/pelvic surgeries in the last twenty-two years. As a direct result of these surgeries, she had developed adhesions. These adhesions severely impacted her lifestyle as evidenced by her inability to lie down or raise her arms above her head without pain. "The pain controlled my life, resulting in the loss of my job and dramatic feelings of isolation. Other products for adhesion reduction have been used during my past surgeries, but the pain would return in two to three days," said the patient. Eight days after Dr. Korell’s use of the SprayGel Adhesion Barrier, she refers to her case as "a miracle – I feel very good with an overall sense of wellness and, for the first time in years I have complete mobility without pain." Dr. Korell further stated, "there is no risk of the development of severe adhesions unless she has another traumatic surgery. While this case is of an extreme nature, the performance of the SprayGel Adhesion Barrier supports the benefits of the prevention and reduction of adhesions in routine gynecological surgery that may result in adhesion formation." Amar S. Sawhney, Ph.D., founder, President and CEO of Confluent Surgical, Inc., said, "we are very pleased with our clinical results in Europe to date and believe that cases such as Professor Korell’s represent additional evidence that differentiates the SprayGel Adhesion Barrier from all other adhesion barrier products on the market today." “It takes one person to start a war, takes one to end it. It takes one person to say "I care", and takes one not to. It takes one person to understand, it takes one to be unkind. It takes one to motivate a change, takes one to be negative. It takes one person to make or break something, courage and bravery lies in someone to start a change in the world. Do you have what it takes? That one person could be you and you can bring a change to this world with peace. Please think about it. 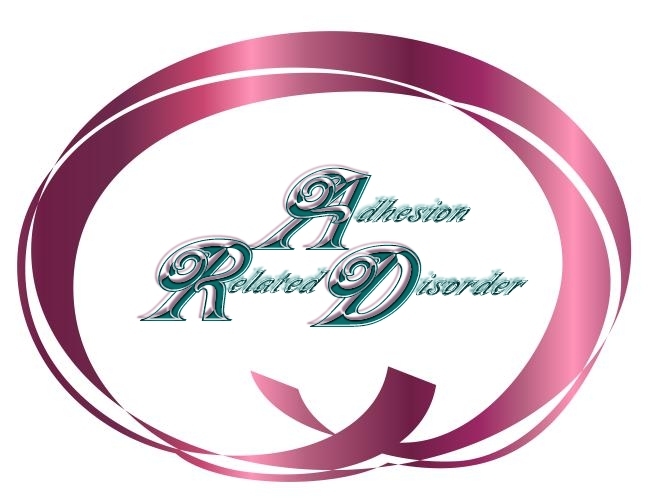 1 Relating to: urging increased awareness of Adhesion Related Disorder. Dr. Alain J.M. Audebert, "SprayGel is a breakthrough because it can be easily applied laparoscopically and remains on the tissues where it is applied during the critical wound healing period. I look forward to its routine use." Confluent Surgical, Inc. today announced that it has received a CE Mark (product certification) allowing the commercial distribution of its SprayGel Adhesion Barrier System within the European Community. The synthetic SprayGel Adhesion Barrier System is designed to prevent or reduce the formation of adhesions or scar tissue in the abdominal or pelvic cavity after laparoscopic or open surgical procedures. SprayGel, is smooth water based, coating material known as a hydrogel. Material is formed from two water-based polyethylene glycols (PEG) that mix at the site of the injury. At the end of the surgical procedure, the product is easily sprayed onto tissue, forming an adherent, flexible barrier. The barrier remains adhered to tissue during the critical healing period, and then is safely absorbed. The material is very inert and highly compatible in the body. As no human or animal based products are used in SprayGel the potential risks to patients are reduced. Amar S. Sawhney, Ph.D., Founder, President and CEO of Confluent Surgical said "The CE Mark approval represents a significant achievement for the Company. SprayGel is the first of many products that Confluent Surgical intends to commercialise to address the unmet needs of post surgical adhesion prevention and surgical sealing." Dr. Alain J.M. Audebert, of Bordeaux, France, an Investigator in Confluent Surgical’s European clinical trial stated "SprayGel is a breakthrough because it can be easily applied laparoscopically and remains on the tissues where it is applied during the critical wound healing period. I look forward to its routine use." Confluent Surgical, Inc. is a privately held company developing products based on its platform of in-situ polymerised biomaterials and associated delivery systems. SAN DIEGO -- A sprayable adhesion barrier being used in Europe performed well enough in a U.S. feasibility study to justify a pivotal trial, Dr. D. Alan Johns said at the World Congress on Endometriosis. The hydrogel barrier, which is known asSprayGel,was tested on 14 women in the United States who were undergoing laparoscopic bilateral adnexal surgery for endometriosis or for lysis of adhesions, said Dr. Johns of the Texas Institute of Clinical Research in Fort Worth. Each woman served as her own control, with one ovary randomly selected to receive the hydrogel barrier after surgery. The barrier was not applied to the other ovary. Videotapes taken at the initial laparoscopy and at a second-look laparoscopy 3-6 weeks after the surgery were reviewed by a surgeon who did not know which side had received the hydrogel product. The barrier decreased the incidence of postoperative adhesions by 71%, decreased the extent of adhesions by 69%, and decreased adhesion severity by 43% on the sides sprayed with the hydrogel, compared with the unsprayed sides. Surgeons removed any adhesions found on second-look laparoscopy on both the treated and untreated sides. The maker of the sprayable adhesion barrier, Confluent Surgical Inc. of Waltham, Mass., funded the initial trial. Confluent Surgical Inc. also is starting a multicenter pivotal trial of the product in an effort to win Food and Drug Administration approval for the indication of preventing development of adhesions after the performance of laparoscopic surgery on adnexal structures. Dr. Johns said he has no financial relationship with the company other than his work on the study. The experimental SprayGel consists of two liquid polyethylene glycol solutions sprayed separately and simultaneously through a bendable 5-mm sprayer onto the local site of injury. Within seconds, the two solutions mix and form a hydrogel product consisting mainly of water. The gel is fully absorbed within 7 days and its products excreted by the kidneys. Blood does not interfere with the binding of the product, in contrast to some other types of adhesion barriers, Dr. Johns said at the meeting, which was sponsored by the World Endometriosis Society and the American Society for Reproductive Medicine. Coating tissue with barriers is only one step in reducing the development of postoperative adhesions, Dr. Eric Bieber, chief of ob.gyn. and medical director of the women's health service at Geisinger Health System, Danville, Pa., said in an interview. An essential strategy for reducing adhesions is attention to good surgical techniques, including minimizing blood loss, using the least amount of sutures and the least reactive sutures possible, and decreasing devitalization of tissue. In the future, surgeons may also try to modulate the inflammatory response that helps incite adhesion formation or use tissue plasminogen activator to help break down some of the products needed for adhesions to form, he speculated. "There remain significant opportunities for the development of better anti-adhesion adjuvant therapy. "It will probably take a multifaceted approach to bring the risk of adhesions down as low as we can get it," Dr. Bieber said. SprayGel is a new medical product designed to prevent pelvic or abdominal adhesion formation following Laparoscopic or Open surgery. The easy-to-use applicator allows for the precise application of a safe, adherent, flexible hydrogel adhesion barrier. The barrier protects during the normal adhesion formation period, and then absorbs and is excreted in the urine. Two clinical trials, one in Europe and one in the U.S., have evaluated the safety and efficacy of SprayGel. SprayGel is not approved for sale in the United States. SprayGel is currently under clinical investigations in the U.S. The patient, a Registered Nurse and mother of six from Calgary, Alberta (Canada), has had over twenty abdominopelvic surgeries in the last twenty-two years. As a direct result of these surgeries, she had developed adhesions. These adhesions severely impacted her lifestyle as evidenced by her inability to lie down or raise her arms above her head without pain. "The pain controlled my life, resulting in the loss of my job and dramatic feelings of isolation. Other products for adhesion reduction have been used during my past surgeries, but the pain would return in two to three days," said the patient. Eight days after Dr. Korell’s use of the SprayGel Adhesion Barrier, she refers to her case as "a miracle – I feel very good with an overall sense of wellness and, for the first time in years I have complete mobility without pain." © 2002, Confluent Surgical, Inc. all rights reserved. A new spray has been developed to heal wounds made inside the body during surgery without scarring. The spray gel forms a bright blue "sticking plaster" and stops tissues sticking together to form painful scars. One of the advantages of the new dressing is that it can be used during keyhole surgery, which is now commonly preferred to open surgery techniques. The company which has developed the gel, Confluent Surgical in Massachusetts, says that 60 patients have so far been treated with it. The gel is made up of two liquids which, when sprayed together, solidify to form a bright blue material which breaks down gradually over about a week. The pain and discomfort of internal adhesions due to surgical scarring can often require a further operation. The spray, made from polyethylene glycol, is now undergoing clinical trials in Germany and France as well as the U.S.
Head of Confluent Surgical, Amarpreet Sawhney told New Scientist that the gel may also have the potential to halt tumour growth by cutting off its blood supply. "We're talking about mechanical anti-angiogenesis. We can shut off every street or alley supplying the tumour," he said. Vanessa Jones, senior lecturer at the Wound Healing Research Unit at the University of Wales College of Medicine, said the gel seemed to be using technology which is currently applied to external wounds. "These products have been used extremely successfully to cover external wounds to ensure moist wound healing and avoid allergic reaction," she said. "It would be very beneficial if the same technology could be applied to internal wounds." There are benefits to laparoscopic surgery in terms of reduced time and trauma, but there have been difficulties in managing the wounds, she added. To earn CME credit, read the news brief along with the CME information that follows and answer the post test questions. Aug. 12, 2004 — The sprayable adhesion barrier SprayGel was safe, effective, and well-tolerated in patients undergoing myomectomy, according to the results of a randomized, prospective trial published in the August issue of Fertility and Sterility. "Despite meticulous microsurgical techniques and the adoption of laparoscopic approaches to minimize insult to sensitive tissues, the problem of adhesions persists," write Liselotte Mettler, MD, from Christian-Albrechts-University Kiel, in Germany, and colleagues. "Although a number of products have been evaluated to reduce or prevent adhesions, many are difficult to deliver to the target tissue by laparoscopic approaches.... In addition, some of these products are either not absorbable or resorb too quickly, resulting in minimal efficacy; or have actually demonstrated increased risks of complications from adverse effects." SprayGel is a synthetic hydrogel which forms an absorbable, flexible, adherent gel barrier when two polyethylene glycol-based liquids are sprayed onto target tissue. It remains intact where applied for approximately five to seven days, protecting the target tissue during wound healing, and then it is hydrolyzed gradually into polyethylene glycol constituent molecules that are resorbed and rapidly cleared by the kidneys. In this European multicenter, phase 3 trial, 66 women undergoing laparoscopic or open uterine myomectomy were enrolled for a 15-month period and randomized to receive either optimal surgical treatment plus adhesion barrier or optimal surgical treatment alone. Mean age was 34.9 years (range, 23 to 52 years). Of 64 patients, 40 (62.5%) returned for second-look laparoscopy. When compared with initial surgery, the mean adhesion tenacity score of adhesions seen at second-look laparoscopy was 64.7% lower in patients receiving adhesion barrier than in control patients (0.60 vs 1.7). Compared with initial surgery, mean adhesion extent score at second-look laparoscopy was 4.5 vs 7.2 cm2, and mean adhesion incidence score was 0.64 vs 1.22. There were no adverse effects attributed to the adhesion barrier. Study limitations were difficulty measuring and quantifying adhesions, lack of physician blinding in all cases at second-look laparoscopy, and insufficient power to determine the efficacy of this adhesion barrier in different surgical procedures and populations. "This unique material circumvented many of the problems associated with earlier attempts to prevent adhesions and in our experience did not otherwise adversely affect patient health or outcomes," the authors write. "This product might be well suited for infertility surgery, endometriosis, pelvic floor repair, and any surgeries carried out for adhesiolysis. It might well have practical application in cancer surgery, given the need for repeat procedures, but this needs to be further investigated." Confluent Surgical, the maker of SprayGel, funded this study. · Identify symptoms and complications associated with adhesions. · Evaluate the benefits and efficacy of SprayGel in the prevention of postoperative adhesions. Adhesions are one of the most common long-term complications associated with gynecologic surgery. Multiple negative consequences, including chronic pelvic pain, infertility, and intestinal obstruction have been associated with the presence of adhesions. In addition, subsequent surgery may be made more complicated because of the presence of adhesions. To date, few intraoperative interventions have been demonstrated to reduce the incidence of adhesions. However, Johns and colleagues demonstrated that SprayGel, a synthetic hydrogel that forms an immediate flexible, absorbable, and adherent barrier when sprayed on tissue, could reduce adhesion formation by 71%. Their results, which were published in the November 1999 issue of the Journal of the American Association of Gynecologic Laparoscopists, also demonstrated a 69% reduction in the extent of adhesions when comparing treatment with SprayGel to routine intraoperative care. · Patients recruited for the study included women at least 18 years old scheduled to undergo laparoscopic or laparotomic myomectomy. It was considered that all patients would benefit from second-look laparoscopy between 3 to 16 weeks after the original procedure. · Surgeons were blinded to treatment assignment until the end of the surgical procedure, at which time SprayGel (mixed with diluted methylene blue to help visualization) applied to all suture lines and other adhesiogenic surfaces or no further treatment was used. · The main study outcome was the severity of adhesions at second-look laparoscopy. Severity was assessed by measuring the location and tenacity (grade 0, no adhesions; grade 3, cohesive adhesions) of each adhesion. Mean area of the uterus covered by adhesions was also measured. · Adverse events were monitored. The first two patients who consented both received SprayGel to familiarize the surgeons with the technique. · 64 women were randomized into the study protocol. Approximately one third of participants refused second-look laparoscopy, and more women in the SprayGel group returned for another laparoscopy than the routine surgery group. · 82.4% of the SprayGel group had their myomectomy performed laparoscopically, which was similar to the percentage in the routine surgery group (76.7%). Most patients had intramural fibroids removed. · Baseline number and severity of adhesions were similar between the two treatment groups. · Mean time to apply SprayGel was 3.7 minutes, and 1.9 kits were used per patient. · 31.8% of subjects in the SprayGel group were adhesion free at second-look laparoscopy vs 11.1% in the routine surgery group, a nonsignificant difference. Mean area of adhesions was also similar between groups. However, overall tenacity scores were better in the SprayGel group. · Examining incident adhesions discovered between the first operation and second-look laparoscopy, SprayGel was superior in reducing the number and severity of adhesions. However, again, the mean area of new adhesions was similar in the SprayGel and routine surgery groups. · No adverse events related to the use of SprayGel were reported. · Adhesions following gynecologic surgery can result in multiple deleterious effects, including chronic pelvic pain, infertility, and intestinal obstruction. · In the prevention of postoperative adhesions, SprayGel forms an absorbable, flexible, adherent gel barrier that remains intact for approximately five to seven days, protecting the target tissue during wound healing, and hydrolyzes gradually into molecules that are reabsorbed and rapidly cleared by the kidneys. It may reduce the number and severity of adhesions following laparoscopic myomectomy, but total area of adhesions is not improved with SprayGel. 1. Which of the following is related to adhesions after gynecologic surgery? 2. Which of the following was significantly improved in the SprayGel vs routine surgery groups in the current study by Mettler and colleagues? Prof. Liselotte Mettler, MD: Good morning, Dr. Amar Sawhney, I am Professor Liselotte Mettler from the Department of Obstetrics Gynecology, University of Kiel, and we have met before. I know that you are the President of Confluent Surgical, welcome.We would like to talk at the present time about adhesions, which is a very big problem for women. Adhesions results after any surgery, any infection, and it brings many patients to us as gynaecologists for a second surgery and we, so far, do not have any good products to prevent new adhesions. So what is your product that the company is at the present time supporting and doing trials around the world, I understand. What is the product? Amar Sawhney, PhD: Professor Mettler, it is a pleasure to meet you and see you again. My company, the company I am the President of, Confluent Surgical, is based out of Boston, Massachusetts, specifically in Waltham, Massachusetts. We’re a small company, we’re working on some innovative products and technologies, especially designed for the problem of adhesion prevention and our products are currently going toward laparoscopic prevention of adhesions for which there is no product currently approved in the United States. Our product, SprayGel, which consists of two liquid components that can be sprayed by a device that goes through keyhole surgery, so it can be used laparoscopically. Prof. Liselotte Mettler, MD: While here at this meeting of the American Association of Gynecological Laparoscopists, I see the doctors running to your booth. Amar Sawhney, PhD: Yes, it is an exciting development for them because they have not had this tool before and they are looking forward to participating in the US in trials and in Europe and Australia, where the product is actually commercially available now and it’s been used in many countries, such as in Germany, in Italy, and a few other countries in Europe. It has been used and in Australia and New Zealand, also. In the United States currently, it is undergoing multi-centre clinical testing. We have finished one series of clinical testing with Dr Alan Johns and now we have some additional clinical trials which are underway at some medical centers across the United States and more information on Confluent SprayGel can be found on our website, at confluentsurgical.com or spraygel.com. Prof. Liselotte Mettler, MD: I personally have used the gel for now probably 200 patients, and I’m very happy with it. I think it’s one of the newer products, which has a future. We have to wait and see. It will be very successful because of the studies we’ve done, but we are optimistic and I do hope that you have a good future with this product and we can help many women for this product adhesions, which is a great problem and there is no cure for the present time. Amar Sawhney, PhD: I hope so. We are actually getting a lot of requests from patients who need this product and some of them actually are going to Europe to get treated, unfortunately right now because the product is not approved in the United States. Women who are suffering from problems of adhesions, caused either due to previous surgery or due to endometriosis and resulting in pelvic pain are, unfortunately, coming to us seeking use of the product. Unfortunately right now, it is under only clinical trials in the US and only available in, of course, the clinical study; but in Europe, Australia and New Zealand, it is commercially available and we hope to do that shortly in the United States, too. Prof. Liselotte Mettler, MD: Thank you very much. Amar Sawhney, PhD: Thank you for your kind interview. Appreciate your help. Waltham, MA (USA), September 23, 2004: Confluent Surgical, Inc.